I'm loving multi-colored necklaces lately! 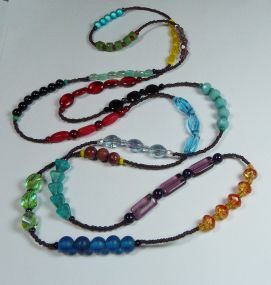 This continuous (no clasp) necklace is made with various kinds of Czech glass, black onyx, seed, and wood beads. 54" long, you can wear this long or doubled.